Anime Challenge Day 2: Who was your first anime crush? My first anime crush is my forever anime crush: InuYasha. InuYasha was the first anime I became obsessed with. Literally obsessed. I religiously stayed up once a week on school nights to catch the newest episode. I wrote fanfictions. I watched AMVs (anime music videos). I bought plushies, DVDs, and games. I was even a part of an InuYasha fan club in middle school in which we all were characters in the show. Take a wild guess in the comments which character I was. Go ahead. The winner gets a shout out on Twitter. Anyway, with so much love for an anime, it was only natural to develop a crush on a major character. That character was InuYasha himself. He was a true rough-on-the-outside guy with a heart of gold. Something about his strength and growth as a character really made me crush on him hard. The anime made a slow progression of his character, giving avid watchers hints and whispers of his feelings and emotions underneath his tough exterior. The movies gave us a little more of what the writers had in store for InuYasha’s character progression. This just left me wanting more. What can I say? I’m a sucker for the guys that are hard to figure out. It’s probably why I’m still running after Shane in Stardew Valley (Can’t we at least be friends, Shane?). His love of Kagome really fueled my crush on him, too. A game of will they/won’t they kept me tuned in weekly. I cheered when their relationship progressed. I cried watching his past love story with Kikyo unfold and come to the tragic end we already knew. I connected with his character in a lot of ways. InuYasha will forever hold a special place in my heart for many reasons. He wasn’t just my first crush; InuYasha introduced an entire world of geek that I didn’t know existed until I fell in love with anime. I learned about fanfictions, then I read them, then I wrote them. I learned what AMV’s were, then I watched them, then I made them. 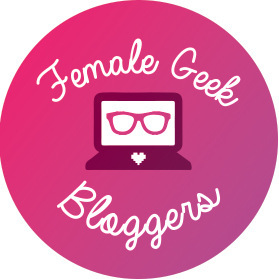 I learned about fan clubs, conventions, and finding my geek tribe. So what was your very first video game? Tell me in the comments! Anime Challenge Day 3: Do you prefer Subs or Dubs? So mines is Sesshomaru actually lol. I like Inuyasha but theres something about his brother that was quite attractive haha. Yami Yugi. I have no idea why. I was very young when the series came out and I enjoyed watching it. For some reason I had a crush on Yami Yuigi lol! I believe it was because of his confident attitude, but I am honestly not sure. I think there was plenty of fan girls who felt the same about him. He was very… Dark and mysterious. Was the character you were Inuyasha per chance? Or maybe it was Kagome since you had a crush on him? Though I guess that’s cheating with 2 guesses haha. For me, I was obsessed with Sesshomaru and he’s still one of my favourite characters to date! I’ll let you have it haha. I was Kagome. Our club president actually picked out everyone’s character and I was surprised to get Kagome! Sesshomaru was a really popular anime crush, and it’s not hard to see why. Everyone loves Sesshomaru.